I am pleased to share that with the confirmation of receiving registered historian status with New York State, enclosed was a welcomed surprised. In 2012, I also received the Joseph Meany Award in recognition of my military project honoring Captain John Lockwood. This recognition is very meaningful to me, as much of my work centered around the veterans in this community. 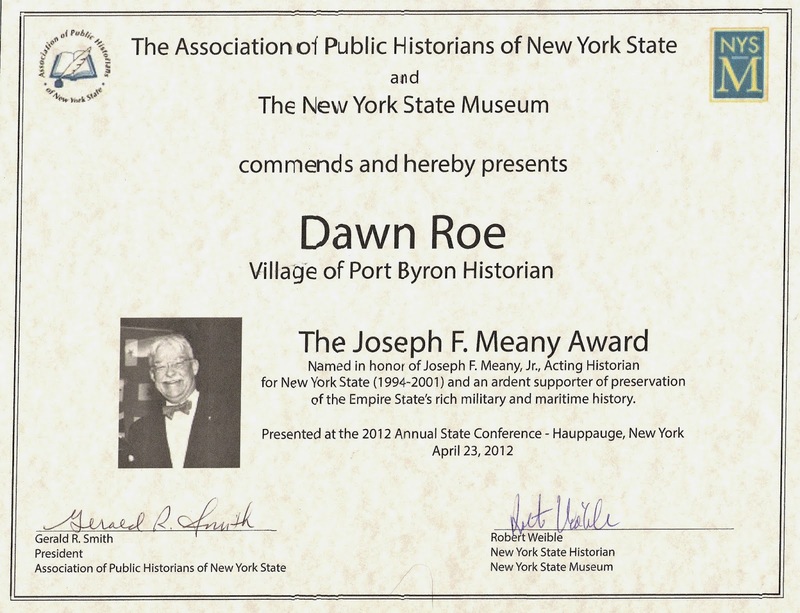 I would like to thank NY State Historian Robert Weible and the Association of Public Historians of New York State for acknowledging the significant work completed while serving as a local historian.